BB-6 will be forming on the 6th of August in the Northern Bay of Bengal. Low Pressure, will move W/NW into Odisha. 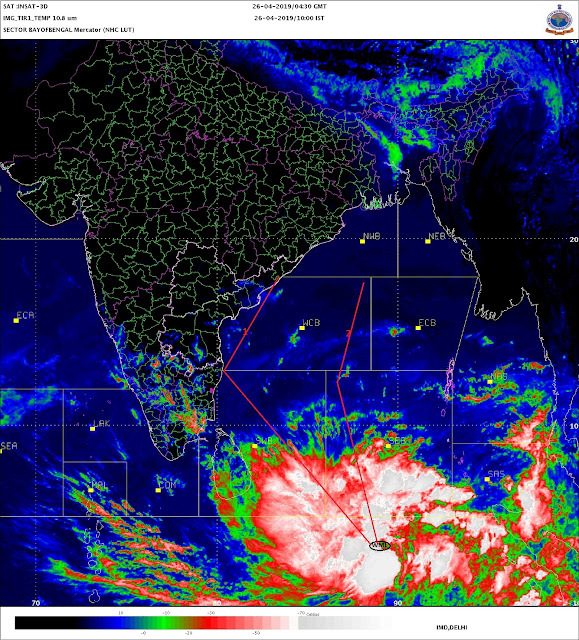 Odisha is getting rains on Sunday in association of the UAC embedded over the region (in the Monsoon Trough). BB=6 is expected to track into Chattisgarh, where there will be heavy rains on Monday 6th. On 6th/7th, heavy rains are expected in adjoining East M.P. Jabalpur may miss the maximum intensity from the system. Chance of Thunder shower (in Jabalpur) on Wednesday. System will weaken, but remain as a UAC and move into the North -West direction.Rains on Wednesday in Extreme North M.P. and adjoining U.P. Fizzling out and may not bring the Monsoon axis Southwards. (From the current North Position).Result: Dhera Dun received 91 mms of rain on Sunday in 12 **hrs ended 8.30 pm with 25.4c as the day's high. Kolkata Alipore saw 44 mms in the 12 hrs. Pune: No increase in rainfall. Delhi NCR: Few showers, about 5-10 mms/day, next 3 days. Rainfall likely to increase from Friday. Bhubaneshwar: Thunder showers on Monday/Tuesday...decreasing rains from Wednesday. Anty chance rain in north east Gujarat next week ? Axis has come southwards from foothills!! thence southeastwards to eastcentral Bay of Bengal. IMD says heavy rains for Maharashtra by next 2 days! Rayalseema stares worst drought! Seems entire AP will face problem this year. Rayalseema 3rd consecutive drought year. Maharashtra 50 crore tree plantation completes this month. Last phase remaining. Great work by CM Fadnavis towards environment.